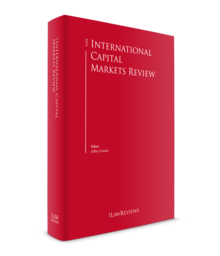 Over the years, Brazil has undergone a constant and significant development of its equity and debt capital markets' regulatory framework. This has been subject to various amendments and updates in an attempt by the regulators to simplify and modernise rules, promote higher standards of efficiency regarding public offerings, promote the adoption of better corporate governance and foster access to the capital markets by Brazilian issuers and investors. Despite the economic crisis and political developments since 2014, a number of public offerings have been implemented in the local markets, not only involving issuances of debt securities (such as the debentures offerings implemented by Nova Transportadora do Sudesde, Algar Telecom, Autoban and Petrobras) and bond offerings structured for foreign investors (such as those made by Fibria, Petrobras, Vale, Embraer, Fibria and BNDES's and Suzano's green bonds), but also equity offerings, with the continuous performance of restricted equity offerings,2 such as those implemented by CCR, Rumo and BR Malls Participações, which together raised over 8 billion reais, and the return of some initial public offerings, such as those from Atacadão (a Carrefour group company in Brazil), Camil Alimentos, BK Brasil, Hapvida and Notre Dame, which together raised more than 14 billion reais. Despite the fact that local capital markets have also faced the challenge of political instability, as witnessed by the impeachment of President Dilma Rousseff, the market has reacted well to the new government and the implementation of structural changes to Brazilian laws (such as the updates to local labour laws), with the consequent improvement in some macroeconomic indicators. A new infrastructure concessions plan was announced by the federal government in August 2017 to assist with government revenues. This plan involves public auctions in various infrastructure sectors, such as airports, highways and ports. One of the effects of this new programme involves attracting private investors to provide the long-term funding required for these projects. In fact, a number of rules have been enacted in recent years to foster access to the capital markets for the long-term financing of infrastructure projects initiated by local companies and the development of the debt securities secondary market (as per the provisions set forth by Law 12,431, which created the 'infrastructure debenture'). In recent years, a number of local companies have relied on public offerings of these types of infrastructure debt instruments to obtain the funding required for their infrastructure projects in an amount totalling approximately 50 billion reais from 2012 to the first half of 2018. The current scenario in the capital markets evidences that companies with a need for long-term financing (and investors with a demand for adequate investments) have all the necessary tools and mechanisms – and are indeed relying on such instruments – to use the local equity and debt capital markets for their funding and capital needs. The Brazilian financial and capital markets system is a highly regulated sector, and is essentially composed of regulatory bodies such as the National Monetary Council (CMN) and the National Council of Private Insurance, and supervisory bodies such as the Central Bank of Brazil and the Brazilian Securities and Exchange Commission (CVM), which supervise, regulate and inspect, as the case may be, publicly held corporations, financial institutions and stock exchanges, among other entities. the management and custody of securities. Typically, federal laws applicable to the capital markets in Brazil contain general provisions, and their main purpose is to establish what Brazilian capital markets comprise, who may be the agents of the market, the different independent agencies that have powers of oversight and the limits of their authority. The regulations that set forth the specific rules with which each player and transaction has to comply are the CVM's instructions, Central Bank circulars and CMN resolutions. This system benefits the Brazilian capital markets, as the enactment of laws is a very bureaucratic procedure that cannot keep pace with the constant changes financial and capital markets suffer, and the enactment of Central Bank, CMN and CVM regulations involves a more quick and effective way of regulating the markets. Instruction No. 560, of 27 March 2015, with provisions on the registration, requirements and disclosure of information regarding foreign investors. The structure of the Brazilian financial and capital markets is also composed of a self- regulatory agency – the Brazilian Association of Financial and Capital Market, known as ANBIMA – which created a set of rules with increased corporate governance for its associates (inter alia, banks, underwriters, brokerage firms, investment banks) to comply with. Currently, ANBIMA has a partnership with the CVM to expedite the registration of follow-on offers. By means of this partnership, ANBIMA is responsible for examining and making demands as regards the documents for public offerings (ANBIMA's time limit to make demands is much shorter than the CVM's on a regular public offer), and after ANBIMA is satisfied with the documents, they are subjected to final approval of the public offering by the CVM. Brazil currently has one registered stock exchange that allows companies to publicly trade their shares – B3 SA (Brasil, Bolsa, Balcão, formerly known as BM&FBOVESPA). In addition to the regulations provided by the CMN, the CVM and the Central Bank, publicly held companies that wish to trade their shares on the stock exchange must also comply with B3's regulations (which contemplate, inter alia, regulations on minimum corporate governance requirements that must be observed by listed corporations). In terms of debt securities (inter alia, commercial papers, debentures), typically the trading of publicly offered securities is verified in authorised custody and settlement entities, such as CETIP SA – Mercados Organizados, which also sets forth rules and regulations to be complied with by all participants in its electronic trading system. In March 2017, the merger between B3 and CETIP was approved by the Brazilian Administrative Council for Economic Defence. At the end of 2017, the CVM issued a public consultation regarding amendments to Instruction No. 476 (restricted public offerings). This resulted in CVM Instruction No. 601, which was enacted on 23 August 2018. Restricted public offerings are one of the most important means for companies to access the capital markets in Brazil. The amendments to the rule were a result of CVM's recent supervision experience, as well as market requests. further obligations and responsibilities of the issuer and lead coordinator. On 1 August 2018, the CVM enacted Instruction No. 600, which implemented rules related to agricultural receivable certificate (CRA) public offerings. From 2008, the CVM had applied the legal rules for real estate receivable certificates (CRIs), pursuant to CVM Instruction No. 414, when analysing CRA public offerings. This practice created uncertainty regarding some specific features of CRA public offerings. The market urged for a new ruling to be put in place, since the CRA business had become an important funding alternative for Brazil's strong agricultural sector (for instance, there were 74 CRA public offerings in 2017). specific rules for public offerings destined to non-qualified investors. Instruction No. 600 will become valid, in general, as of 31 October 2018. In 2017, the federal government enacted Provisional Measure No. 784 and then Law No. 13,506 concerning updates and improvements regarding administrative proceedings carried out before the CVM and the Central Bank. the end of the automatic staying effect in appeals against decisions by the CVM before the Board of Appeals of the National Financial System (CRSFN). The CVM can enter into leniency agreements with individuals and legal entities that admit irregularities regarding the CVM's rulings, which may result in the termination of the punitive proceeding or a decrease of between one-third and two-thirds of the applicable penalty. The public consultation documents emphasise that this type of leniency agreement may only be effective in relation to actions in the administrative sphere and does not affect the performance of other competent bodies (such as the Public Prosecution Office), which may limit its attractiveness. The consultation also provides for the creation of an independent committee to be in charge of the negotiation and acceptance of a leniency agreement. Therefore, in the event of rejection of a leniency agreement, it shall not be regarded as a confession by the proponent and all the related documents shall be disposed of or returned to the proponent. On the other hand, a rejection does not mean that other competent bodies may not autonomously identify the conduct and initiate a prosecution. The staying effect of decisions rendered by the CVM when a defendant appealed to CRSFN used to be automatic. The public consultation also reflects the provisions of Law No. 13,506, that in order to obtain a staying effect, the defendant must make a request to the CVM's reporting officer assigned to the case, and is able to appeal the decision to the CVM's plenary body. On 3 May 2018, the CVM enacted Instruction No. 598, which provides new regulations applicable to securities analysts in Brazil (whose activities had been regulated by the now revoked CVM Instruction No. 483, from 6 July 2010). The definition of securities analyst (whether legal entity or individual) is a person that professionally drafts analysis reports destined for publication, disclosure or distribution to third parties. Besides some updates to the general activities of securities analysts, Instruction No. 598 requires the accreditation of securities analysts incorporated in the form of a legal entity before a duly authorised accreditation entity (the former rule only required the accreditation of individuals) and has introduced changes in the way analysts communicate with their clients and the public in general. Legal entities have a limit of up to 180 days, counted from 3 May 2018, to provide the relevant accreditation. The main reason for this Instruction being enacted is that the CVM had realised that many entities were exclusively acting in the securities analysis business (i.e., their corporate purpose was only securities analysis), but were registered as an analysis consultant since there was no form of registration specific to legal entities. Instruction No. 598 provides that legal entity securities analysts shall have their analysis teams made up of at least 80 per cent of accredited individual analysts. In the event of non-compliance, the legal entity has to adjust the percentage of analysts within 90 days of the date of the breach. The legal entity must communicate to the accrediting entity both the non-compliance and the reinstatement of the percentage as required by Instruction No. 598 within 15 days of the date of the respective occurrence, and provide the necessary explanation regarding the non-compliance. Instruction No. 598 also provides that any form of communication, regardless of how it is disclosed, must be true, consistent and cannot mislead the investors, nor can it contain promises of future profitability or assure or suggest the existence of a guarantee of future results or an exemption from risk by the investor. Securities analysts are prohibited from participating in any activities related to public offerings of securities, including sales efforts. This prohibition aims to protect investors from certain situations where the level of an analyst's conflict of interest is too high. On the other hand, the rule also provides an exemption that allows securities analysts to participate in investor education activities in the context of public offerings. The exemption applies if (1) there is no investment recommendation, (2) the communication does not occur in the presence of persons related to the area of product or service distribution or to the issuer, and (3) the attendance is recorded. On 11 November 2017, the CVM enacted Instruction No. 592 (which replaces Instruction No. 43, of 5 March 1985) regarding new rules applicable to the professional performance of the actions of securities consultancies. The definition of rendering securities consultancy services consists of orientation, recommendation and advice, in a professional, independent and individual manner, regarding investments in the securities market, whose adoption and implementation are exclusive to the client. a requirement that a consultant may not receive any compensation, benefit or advantage, directly or indirectly, which could potentially undermine his or her independence (except when the services are rendered to professional investors who have issued a knowledge statement). On 31 August 2015, the Federal Revenue Offices enacted Normative Ruling No. 1,585 of the Brazilian Federal Revenue (IN 1,585), with the aim of updating and consolidating rules regarding the taxation of income and capital gains recognised by local and foreign investors in financial transactions carried out in the Brazilian markets. Before the introduction of IN 1,585, it was common that investors contributed their equity interest in corporations to investment funds, and, whenever corporations paid dividends, they were paid directly to the quotaholders of the funds, and those amounts were exempted from income tax as the legal nature of the payments would remain as dividends (which are exempted from income tax under the current tax regulations). According to this new regulation – the lawfulness of which in respect of this specific provision is debatable – the direct on-payment of dividends by investment funds whose portfolios are focused on equity interest to their quotaholders would be treated as a legal act equated to a redemption or amortisation of quotas and, therefore, withholding tax (WHT) would apply at the general 15 per cent rate. On 5 September 2013, the CMN issued Resolution No. 4,263 regulating the issuance by Brazilian financial institutions of a new funding instrument: the structure transaction certificate (COE). A COE is a 'certificate issued against initial investment, representing a single and indivisible set of rights and obligations, with a remuneration structure presenting characteristics of derivative financial instruments' and may be issued exclusively by multiservice banks (bancos múltiplos), commercial banks, investment banks and savings banks, in book entry form and upon registration in registry and settlement systems authorised by the Central Bank or the CVM. According to IN 1,585, the profits of COEs are subject to income tax at a regressive rate from 22.5 per cent to 15 per cent. If the settlement of the COE occurs through the delivery of assets, including shares, the acquisition cost of the asset can be deemed as the acquisition cost of the COE. Losses arising out of COE investments cannot be compensated with profits on equity transactions by a natural person; nevertheless, legal entities can deduct such losses from their taxable profits. The former regulation exempted certain debt securities (LCI, LCA, CRA, CRI, CDA/WA, CDCA and CPR)3 from income tax; nevertheless, they were not exempted from tax over capital gains. According to the provisions of IN 1,585, these investments are exempted from tax over capital gains – a positive change that had been requested by the market for a long time. Under Brazilian tax law, the general rule is that non-resident investors are subject to the same tax rules that are applicable to individuals who are tax residents in Brazil when it comes to income and capital gains derived from transactions carried out in Brazilian financial and capital markets. 22.5 per cent on the portion of gain that exceeds 30 million reais. Only if the investor is based in a blacklisted tax haven jurisdiction would these rates be increased to a flat 25 per cent rate. Capital gains accrued on the disposition of Brazilian listed stock, when carried out in the Brazilian Stock Exchange by an investor registered pursuant to the terms and conditions of Resolution No. 4,373/2014 that is not located in any blacklisted tax haven jurisdiction, qualifies for a full exemption from WHT. As a result, if a 4,373 investor disposes of shares in a Brazilian listed company at a gain in the Brazilian Stock Exchange, this transaction would be exempt from any WHT in Brazil. On 31 July 2018, the federal government presented a legislative bill regarding the taxation of closed-end investment funds and equity investment funds, reproducing the content previously displayed in Provisional Measure No. 806 of 30 October 2017, which was not approved by the National Congress regarding its conversion into a law. The legislative bill substantially alters the rules for the deferral of taxation applicable to closed-end investment funds, in an attempt by the government to eliminate the tax deferral regime for these legal entities. According to the bill, those investment funds would be taxed according to the rules currently applicable to open-end funds. taxation on spin-off, merger and transformation transactions of closed-end funds made as of 1 January 2019. It is important to highlight that there is still much debate derived from this bill of law. It has not yet been approved and its provisions are not in force. Brazil has a comprehensive legal framework in terms of securities laws and regulations applicable to investors and issuing companies, and requirements that must be observed by each type of equity or debt security. 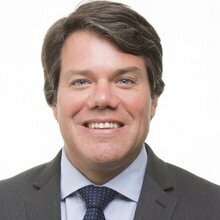 In recent years, local regulators have enacted a number of rules completing and updating this legal framework to provide better access to the capital and financial markets by local companies, and detailed guidance and transparency to local and foreign investors who are willing to acquire securities issued in Brazil. This effort – witnessed in recent years with the enactment of the rules described in this chapter and others enacted in previous years – is recognised by market players. In fact, its results have been verified in practical terms: in spite of the current economic and political crisis affecting Brazil, a number of debt and equity securities public offerings have been observed in the local market during the past few months, evidencing that both investors and issuing companies are increasingly relying on the capital markets for their (short as well as long-term) funding and capital needs. 1 Ricardo Simões Russo is a partner and Gustavo Ferrari Chauffaille is an associate at Pinheiro Neto Advogados. 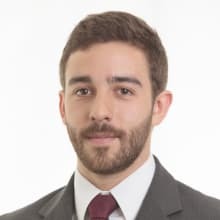 Vinicius Pimenta Seixas, an associate, has assisted with the tax law section. 2 Restricted public offerings are the '476 offerings', which are granted with automatic registration provided that the securities are only offered to a limited number of professional investors. 3 LCI: Real Estate Credit Bill; LCA: Agribusiness Credit Bill; CRA: CDA/WA: Certificate of Agricultural Deposit/Agricultural Warrant; CDCA: Certificate of Agribusiness Credit Rights; CPR: Rural Product Note.